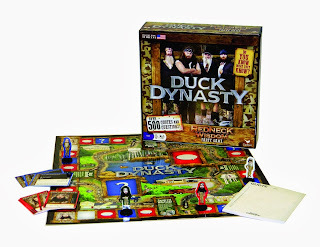 Amazon has the Duck Dynasty Redneck Wisdom Board Game for only $16.99! This would make a great Christmas gift for any Duck Dynasty fan! Plus it is eligible for FREE shipping on orders over $25! Face off against hilarious trivia questions from DUCK DYNASTY and guess the missing words in ridiculously funny quotes by Willie, Phil, Uncle Si, Jase and rest of the crew. Fool other players with your believable answers and spot the genuine quotes from among the decoys to score. For 2-12 players ages 10 and up.